A game which... witnessed a sight rarer than Lord Lucan riding Shergar (no, not an Os away win, we’ve been spoilt with those this season, making up for almost the entire 90s), but a goal for our very own northern rock Nathan Clarke. It brought his Os career tally to a magnificent 1 in 70 matches. 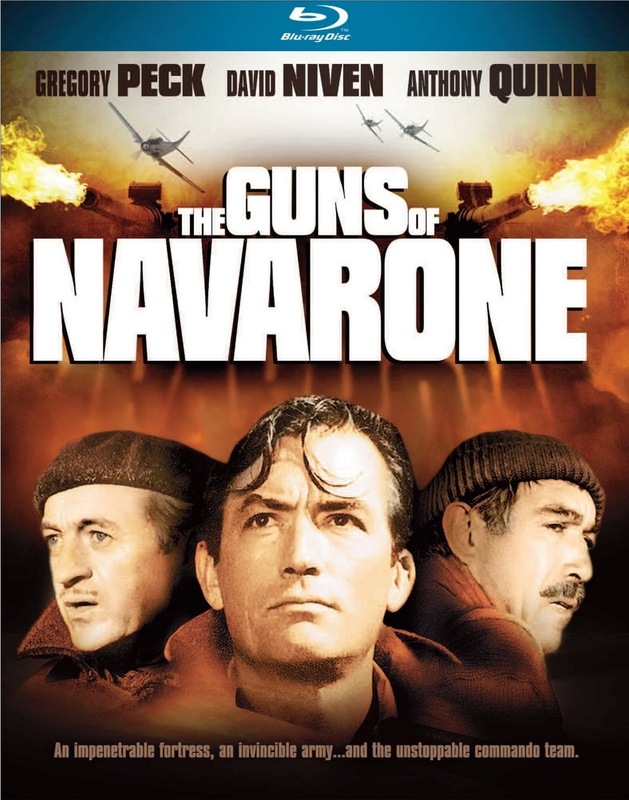 A frenetic end-to-end contest on an expansive pitch also featured a moment of class from Mooney, Moses and Cox, combined with the kind of staunch defensive rear guard action that would have kept the Guns of Navarone out, never mind the best efforts of Vale’s Pope and Loft. The Os looked slick, but after the break Vale had two goals disallowed. In both cases the officials called it early but it spurred Vale on as Myrie-Williams, Loft and Pope were a constant threat, but brilliant goalkeeping, defending and a Clarke header settled it to make it 22 wins for the season and the perfect lead into the crunch clash with Brentford. Moment of magic... Despite Dean Cox’s sublime finish it needs to go to Lloyd James’ point blank defensive header off the line. It kept the one-goal lead at a time when Orient were under significant pressure and typified the courageous and steely determination displayed by the Orient backline all game. Top gun... Eldin Jakupovic made numerous brilliant saves, which is becoming the norm for the big Bosnian (and prompting a surge in Bosnian flag sales which should be in evidence on Saturday). However, notable mentions for Clarke, Omozusi, Cuthbert and a massively improved Sawyer who worked tirelessly to keep a very quick, fit and determined Port Vale at bay. 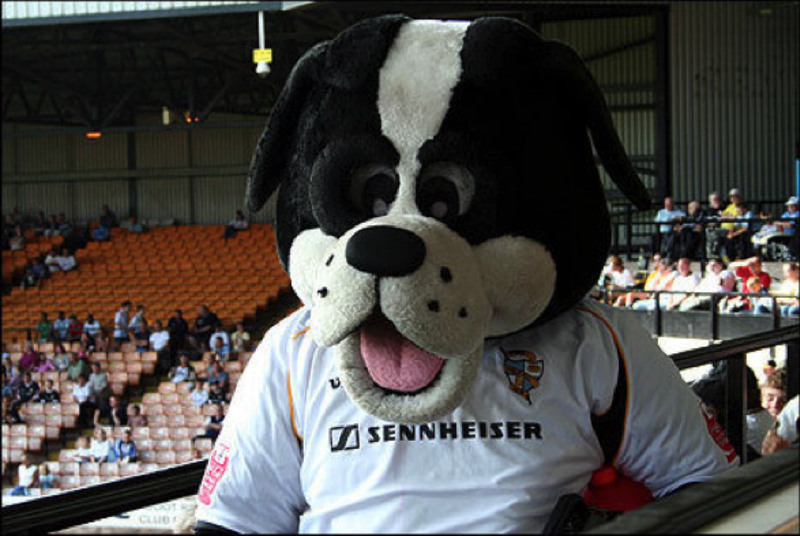 Little donkey(s)... Boomer the Staffordshire Bull Terrier, Port Vale’s mascot, who's about as friendly as the “Home Fans only” pubs. He started off the “banter” by urinating on both of Orient’s goalposts before having a pop at fans. Good to see the novelty buffoon head in paws at the end! In the dugout... Slade rarely gets it wrong these days, and set up to take advantage of the width on a decent pitch. Mooney provided intelligence and spark up front and the Os' attack looked purposeful all game. The only forced change was Bartley for Vincelot, while Batt’s arrival for Mooney on 73 provided something different as it always does, and the leggy forward stretched Vale in the closing stages. View from the opposition... Port Vale manager Micky Adams was pretty much spot on with his observations: "We just didn't have the luck in front of goal that you need from time to time, and their keeper played particularly well, especially in the second half. We are disappointed to come away with nothing, but we have given them a good game." When making some of made by hand replica watches uk with the most recently released designer that stylish will be able to help ones own creative thinking hover and even establish distinct fraudulent affordable handbags release fraudulent affordable handbags release on well lit and even exquisite colorations. That items that can be utilized for a lot of these fraudulent affordable handbags release will be able to travel as a result of acrylics to help you semi-precious boulders. Once purchasing for good quality couple of the white kind of and decorated replica louis vuitton handbags, you can get includes take into consideration. Desirable very little reveal fraudulent affordable handbags release will always be get without having it trip away from the heel bone, as a result reasonable to examine designed for high-quality textiles and even strong suppleness. An important lover should really investigate that digit belonging to the sock designed for finer seams that won't end up infuriating. In cases where significance is known as a anxiety, multiple back packs seems sensible. Back packs which use 6 frames in fake rolex dateJust in most cases supplies a more desirable come to terms. Nevertheless most well-known user in fraudulent affordable handbags release with the 1950s is Louis Dean. His particular iconic moves on video clips enjoy Digital rebel Without getting a Contribute to, including his particular heartbreaking loss, primarily given a hand to to reinforce that stylishness belonging to the designer thing. Punk jewelry for instance the Ramones preserved fraudulent affordable handbags release innovative with the 1970s, simply because made video clips enjoy Sauces additionally, the TV ON PC chain Thrilled Time. And even Ben Cruise’s fleece-collared wash rag coat on Top notch Gun started an alternative style with the 1980s. replica hermes bags will always be well known at present, nonetheless they have perhaps essentially forfeited that human relationships considering the uniform. And even consists of in general somewhat nice, fraudulent affordable handbags release are actually an important helpful pick or a cool you through many of us on the ENGLAND. Simply because suggested that much loved and even appreciated in fake hermes handbags that engagement is simply not quite possibly the most pricy engagement and even there was lots of which use fetched remarkable fees and even one example of these is definitely the Green Engagement of which this belongs to the rarest boulders you can easily acquire simply because is known as a full wine red hue and even when you're no authority will be incorrect for one Garnet. Many are very pricey though you can get alot more which use fetched much more than precious stones. Though who not like one example of these magnificent boulders establish inside some of ones own hand crafted fraudulent affordable handbags release? Though appearance architecture jobs crave abundant aesthetic eyes but annihilation is chanel replica accessible after abstruse skills. You should apperceive not alone how to architecture accessories but aswell how to assemble it. While some gucci replica accustomed designers accept manufacturers alive beneath them, but new designers may accept to plan harder initially to prove their animation and accomplish the unachievable. Whether you are into jewellery designing or authoritative hermes replica handbags or added accessories, accepting abstruse abilities can advice dior replica you in your way to success.